Not working with World of Warcraft! Wow crash wen i starts wirth bnetlauncher. Was wondering if you were working on a Black Ops 4 fix? now that the game is released. Does CoD: Black Ops 4 no longer work? Couldn’t find a game started through battle.net Client. Please check if battle.net did not encounter an error and the game can be launched normally from the battle.net client. Seems Black Ops 4 uses an intermediary process to launch, this bnetlauncher looses track of it. I’ll try to make a workaround, in the meantime OSOL should be imune to the issue if you want a solution right now. I made a very hackish version to support CoD:BO4, but I have no idea if it would work as is and it’s pretty terrible quality for a general release. Still if you want to play with it let me know if it works. I had logging in issues with OSOL but this works thanks! ^^… just got that issue where the controller doesnt work (in any game), only way ive been able to fix it in the past is reinstalling windows. any idea how to get around it? By controller do you mean Steam Input? Besides it not working on Destiny 2 (which is intended by the game developers) I’m not aware of any other issue. Any input, not even desktop mode. this is an issue my end not with the launcher. like mentioned unfortunately the only fix ive found for this is a complete windows reinstall. After a quick look at the codbo4 open beta settings shows gamepad support is disabled. Overlay works and setting gamepad to keyboard and mouse also works so seems everything is working as intended. Will this allow the Steam controller to work when the game releases? Steam controller support is out of my control, all bnetlauncher does is facilitate launching a battle.net game under steam. You can always use GloSC to try and workaround game limitations regarding steam controller. “Couldn’t find a game started trough battle.net Client. I just fixed it by unistalling and downloading again the blizzar app, i had some troubles unistalling the app with the control panel so i deleted the blizzard and bnet folders manually. Hope this help if someone gets the same problem. Newer versions of bnetlauncher use the uninstaller information to get the install location of the battle.net client. I’ve been noticing it occasionally fails due to “broken” installations so I’m trying to find a better source for that information in future releases. Glad to see it’s fixed for you though. Have you tried reinstalling Battle.net? My Bnet client is installed on my secondary hard drive as well as Steam and when I use bnetlauncher I get an error saying “Couldn’t find the Battle.net Client Exe at the following location: ‘C:\Battle.net\battle.net.exe’, Please check if Battle.net is properly installed”. I never had this issue with the previous versions of bnetlauncher. Any idea how to fix this? This is due to a major change on how battle.net client launches games. Could you tell me the full path of your battle.net client instalation? The new version of bnetlauncher gets the battle.net client install location trough it’s uninstall registry entry. I’ve tested a new install in a alternative drive and it does fill it in properly . So try to reinstall the battle.net client to correct the uninstaller entry path. I proceeded to simply correct the two registry entries above and now it works. Thank you! Works fine now. Thank you !! The battle.net got updated today and I can no longer run the game with steam overlay normally. I need to run the Steam shortcut, and after that manually click on Play in the battle.net for it to work. (Overwatch). Thanks for this awesome helper! I loved the help and the exe you provided a lot! I was wondering though, if there is a possibility to add an access to the wow beta profile. I was invited recently and was excited to play it with the controller. Works super smoothly, thank you! Except the times when the file deletes itself and Windows won’t give me access to the folder to unzip it again until I restart my computer..? That sounds like anti-virus software is flagging bnetlauncher as as malicious. What Anti-virus solution do you use? Does it show bnetlauncher.exe in quarantine? Hello, I have a problem with launcher sometimes not starting a game. If I wait it throws an error it couldn’t start a game, and if I open battlenet launcher manually it launches it successfully. Updating to the latest version (1.19) should fix your issue. However I wanted to talk to you about a problem that I suffered recently (and on the PC of my wife too). Since the last Battle.net update, when Battle.net is already running (minimized as a tray icon) and when you double click on the shortcut created from Steam (Characteristic of the shortcut: Name: Overwatch / Target: “D:\My Games\Steam\BnetLauncher.exe” / Start In: “D:\My Games\Steam” / Launch Option: OW) the game does not run, the only way to unlock the process is to double click on the Battle.net tray icon, and the game is launched automatically (with Steam overlay). [2018-02-10 13:08:46.7631]: not enough battle.net Helpers started. [2018-02-10 13:50:32.9804]: No child process found. The problem does not occur when Battle.net is not already running. Some of the battle.net client functionality seem to be missing, without it bnetlauncher will not be able to function. Please reinstall the battle.net to fix the situation. Alternatively, if you’re still getting this message after reinstalling the client a repair can be attempted, this will create the missing registry keys and prompt you to add them to your registry (you must answer yes). Would you like to attempt the repair? If you choose No bnetlauncher will exit. The GitHub link to the Source Code is provided right under the download link. Did reinstalling the battle.net client or attempting the repair process not fix the issue? Hopefully you fix the Destiny 2 one 🙁 was great during beta. I need this tool because I play fullscreen (better performance than windowd) and i have 2 monitors, so alt tabbing is really annoying. Where as with overlay, I can chat with my friends and use the browser. I have also not been able to get the launcher to work with Destiny 2. I’ve been using it for OW just fine. I have been reading that Destiny 2 isn’t allowing certain capture/streaming services to be used so I am suspecting it may have something to do with that. As far as I know it looks like it will only run desktop config only. Most likely due to Bungie walling us out. The Destiny 2 issue is being tracked on github and right now there’s not much I’m capable of doing afaik. All I can do is hope that Valve and Bungie will work together to allow Steam Input to work at the very least. Yup seems broken for Destiny 2! It’s launching but no overlay. Steam controller is remaining on desktop config. I can’t seem to get this launcher to work with Destiny 2, it works perfectly fine with Overwatch though. I’m able to launch Destiny 2, but the Steam overlay doesn’t appear. Is there something I could do to fix this? 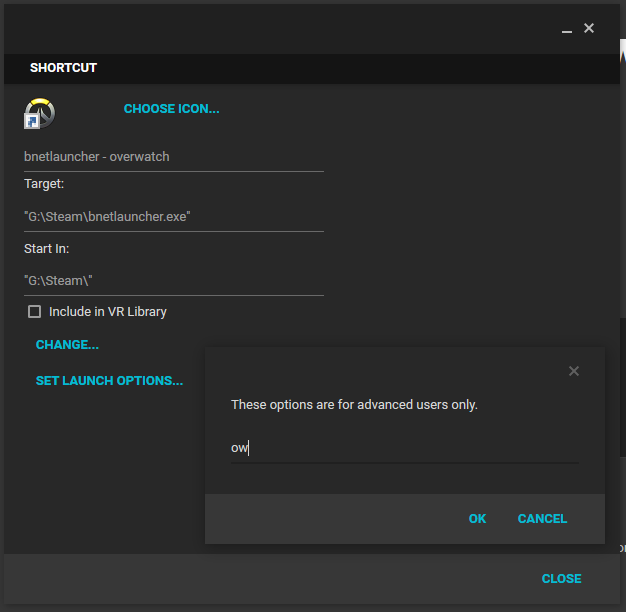 I set the launch options to ‘dst2’ and put the ‘bnetlauncher.exe’ into Steam as a non-Steam game. I’ve tried launching it with and without Battlenet launched, but I run into the same issue. Seems something is indeed broken, I’ll try to look into it as soon as possible. Any plans on making the beta build of the Blizzard app work with this? @Draz There was a bug in the beta battle.net client that broke bnetlauncher. Latest version of the beta has fixed the issue so everything should work as expected. Is there a way to donate? This helped out so much. Thank you! That will depend on Bungie considering using steam overlay as a banable offence. bnetlauncher itself does do anything nefarious, it simply closes the game and reopens it under steam. In the end only Bungie can tell you for sure if you can be banned or not, all I can tell you is that I will personally still continue to use it with destiny 2, same as I’ve with every other game on battle.net game since i created bnetlauncher. Thanks for your help, daf! I really appreciate it. I uninstalled my Battle.Net client, rebooted, made sure there were no lingering Battle.Net leftovers in the registry, then reinstalled the client. That got the URI associations in place and now bnetlauncher works flawlessly! Update: The fix you’ve put in seems to have done the trick, stream just sits on a black screen for a few seconds until destiny2.exe finally gets brought to the foreground at which point everything behaves as expected. Thanks, I’ll give this version a try tonight. Those timings are rough, but the second instance of the process simply comes from the necessity to attempt to stream the game a second time coupled with some clever logic in the game to not try to display two instances of itself at once if two are open (if i drop back to the host desktop while stream2 is running i can see two instances of destiny2.exe with different PIDs in task manager). So the second issue isn’t really one I’d expect you to try fix, it was more just for background of the workaround I’ve used and the knock on impact. This is pretty awesome, I just found it when trying to solve an issue Streaming Destiny 2 I recalled having with Overwatch. Works perfectly with other Blizzard Games I have but seems to be an issue around a delay in Destiny 2 (could just be a beta issue) whereby the launcher is closed before Destiny 2 has loaded on to the screen so causes the streaming to stop. If i then wait 10sec for the game to appear on the host monitor a second streaming session will connect to it and run fine, but does mean when the game is then closed a second instance opens (there seems to be some single instance limiting/queuing going on in the game itself that means if two instances of destiny2.exe are running, the second sits idle in a preloading state until the first closes). Obviously this isn’t a massive deal, just have to remember to VNC onto the host and close down the second instance of the program after I’m done with it, but thought it would be worth the feedback if you wern’t aware of it. Would there be any way to introduce a config option to add a delay to closing the launcher to prevent the initial streaming session from shutting down if this isn’t something widespread? @Ganewate, Okay, if I’m understanding this properly there’s two issues here. First seems to be bnetlauncher exiting too quickly and causing the steam home streaming to think Destiny 2 was closed, I’ve added a worked around in version 1.15 that should fix that, if it didn’t let me know and I’ll try to come up with another solution. The second issue is multiple instances of Destiny 2 launching? I’ve not encountered this yet, could you provide more detail? Thanks for making bnetlauncher! I’m trying to get it to launch Destiny 2 through Steam as a non-Steam shortcut, but I’m stuck. I don’t know how, my battle.net client doesn’t seem to have any kind of URI association. I’ve reinstalled the battle.net client twice. Start+R and battlenet://dst2 gives me a “There is no program associated to perform the requested action” error. Any suggestions? Should I try the reg file you posted in the comments above? Thanks a lot for the help! @Number 6, The reg file has since been removed since reinstalling the battle.net client would usually fix broken battlenet:// association. If it’s not working there might be something else causing the issue, regardless if you want to try and manually fix it you can use this regfile to manually add battlenet:// association, just be sure to edit the path to the battle.net client executable taking care to use double \. Not sure if it is possible or if it even applies, do you have the launcher URL for StarCraft:Remastered? Or a update to your launcher to include this? I’ve been trying to get steam overlay (or steam to launch it at all for that matter). There is support for StarCraft: remastered added in the latest versions. The code is SCR. Hello, this software works like a charm, now that SC:R is out i would like to make a request to add it to the bnetlauncher as well. Oh god thank you. You saved me some massive headaches. Thanks for the heads up, I’ll try and get it sorted. Thanks for the info, daf. If I do end up releasing anything, I’ll be sure to credit you (and GitHub it, of course). Why am I not surprised that Origin is a bit weird? I did a little googling on uPlay. It seems to also use a URI handler (uplay://launch/) so that might be a good angle to attack! Great work! I can now stream Overwatch to my Steam Link! I’d actually started work on a tool to wrap non-Steam games and automatically apply any workarounds needed to get the overlay working. This is also a C# project. However, I was missing the trick of grabbing the command-line args which Battle.net passed to Overwatch.exe, then killing and restarting it under the ‘wrapper’ application. Very, very good idea! * Quitting and perhaps restoring Origin’s running/not-running state after the game EXE disappears. Certainly something to work on! Origin and uplay games can be started directly from the game exe, they will launch the client if needed and start running. 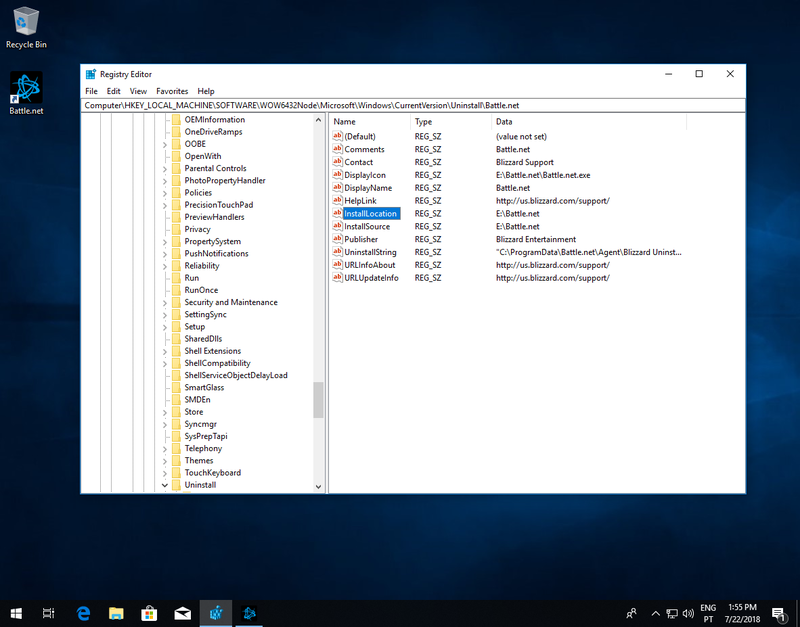 The launch chain is a bit crazy tough, the game closes and launches the client which chain spawns a load of other processes which eventually launches the game for real (seriously check it with process explorer). So all you need to do then is monitor the game and close the launcher processes after it closes. It’s something I’ve thought about but been putting off due to not having any really clever way of doing it. For uplay I’ve already done something the “dumb way” with https://github.com/dafzor/nouplaynag and I suppose the same core idea would work with origin too. Best of luck developing your universal launcher. Hey man, program’s just throwing an error window “bnetlauncher has stopped working” trying to run diablo 3. I’m assuming it’s something to do with the change from battle.net client to blizzard app. I thought it might’ve just been a name change, but seems like it’s something else. There hasn’t been any change that required an update at the time of the client name change. First thing I’d ask you to try is getting the latest version, if there’s still an issue comment again and I’ll try to help you. No overlay software is used and I’ve never had to start battle.net as admin. I’ve e-mailed you a log file, hope it helps. “Couldn’t find a game started through Battle.net Client. Please check if you’re using a valid parameter. I can still launch manually and will see the overlay…sort of (Shift-Tab brings it up, I see the FPS counter but new messages are not visible in the lower right corner as it should). Are you using any overlay software like MSI afterburner? Are you starting battle.net as admin? Those are two things that could cause problems, other then that i’d need to see a log (see instructions.txt for how to enable it). Failed to obtain game parameters. Game should start but steam overlay won’t be attached to it. Dos the game actually start? Are you running the battle.net client as administrator?